Back in April 2015, I had no idea whether my CFP (Call For Papers) submissions would be accepted, or if I'd find a way to get to VMworld to deliver the presentation(s). I applied for a blogger pass on faith, hoping that somehow the stars would align in time. I know, I know, you're not supposed to do that. 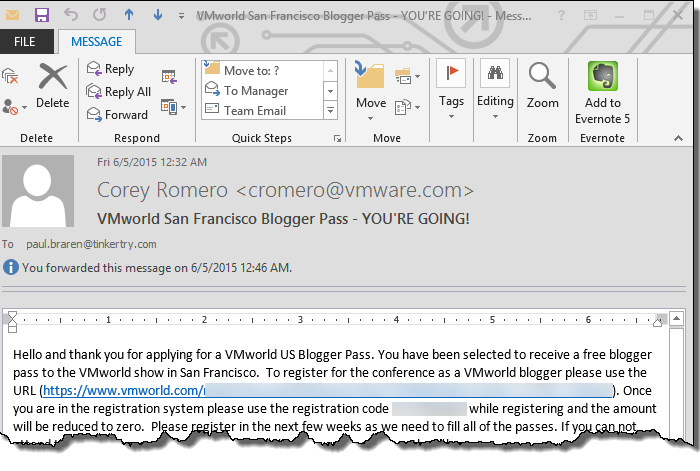 Subject: VMworld San Francisco Blogger Pass - YOU'RE GOING! Yes! TinkerTry will be there, in the flesh, awesome! I sure hope to finally meet with many of you, my favorite part of attending conferences. Getting out and hearing others' real-world virtualization stories is always a hoot, followed by that prehistoric tradition of shaking hands and exchanging old-fashioned business cards. Well, with modern twist. 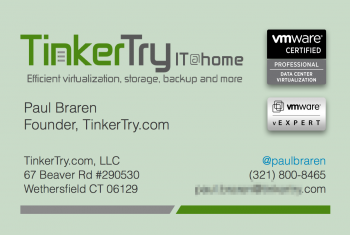 Of course, TinkerTry uses green, recycled MOO cards, and the literally green TinkerTry IT @ home shirt. If you're interested in meeting me while at VMworld 2015, follow me on Twitter @paulbraren, then sending a DM so we can coordinate privately. I've been to VMworld in 2007, 2008, 2012, and now in 2015, my first time attending as a blogger. I always enjoy new experiences, and sharing them. Hmm, the possibilities...don't be shy, meet up with me and say hi! 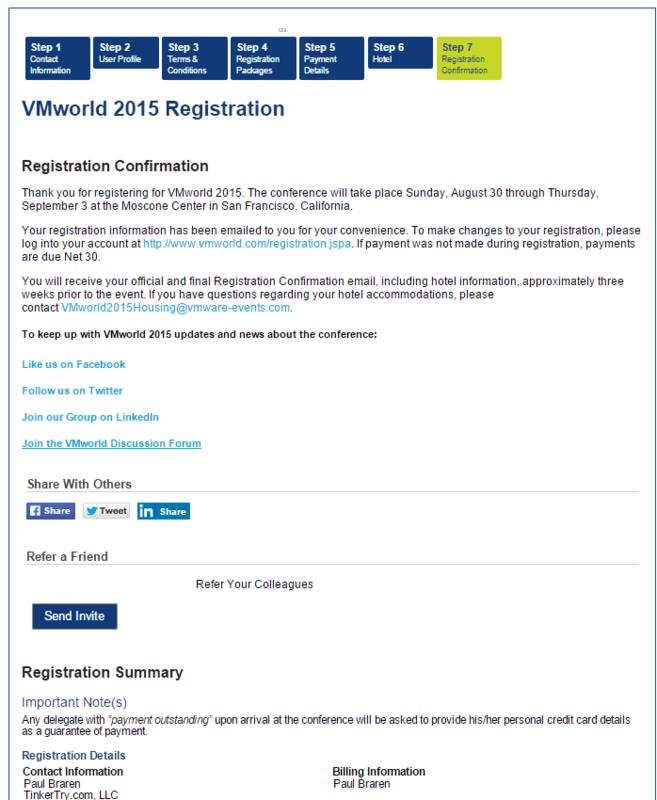 JUL 21 2015 - It turns out I'll be a speaker and a blogger at VMworld 2015!